It's finally here! 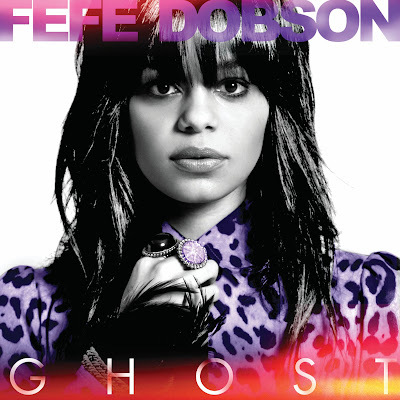 The video for Fefe Dobson's new electro-smash single "Ghost." Penned by Dobson, Kara DioGuardi and Kevin Rudolf the song is a pretty drastic departure from what she's produced in the past in that it's decidedly a dance single. Dobson's previous singles have all been more pop/rock...a little bit harder and edgier, but pop/rock nonetheless. I think the new sound works and works well at that. Dobson's "ROCKER" edge isn't lost in the synthy production, in fact, it complements her vocals and performance. While I highly doubt her whole album is as experimental, I hope that Dobson will at least consider dabbling in electronica again some time. It suits her well. According to Dobson via Twitter, the single will be available in the U.S. sometime next week. Her new album, Joy, is due out on August 17th.